New York-based Grassi & Co. (FY14 net revenue of $40.9 million) announced that David Rottkamp, currently a partner and the not-for-profit practice leader at Grassi & Co., has been admitted as PIC of the firm’s New York office. Rottkamp has spent more than 27 years providing audit and advisory services to the not-for-profit industry. In his role as not-for-profit practice leader at Grassi & Co., he has developed the group into a dedicated team of experts, comprised of four partners and 20 staffed professionals. He and his team focus on providing a full suite of services to not-for-profit organizations of all kinds, including special needs organizations and social service providers, religious organizations, educational institutions, membership associations, health care providers, foundations, and arts and cultural groups. 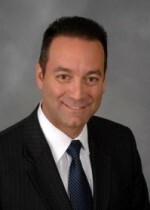 Since beginning his career, Rottkamp has advised some of the region’s most successful not-for-profit organizations in areas such as strategic business development and operations, financial reporting systems, compliance with governmental and other third party rules and regulations, internal control reviews, developing financial forecasts and providing quality board education and governance advice and training. “David’s ability to streamline processes and demonstrate exceptional leadership are just a couple of the reasons he is a fantastic choice to run our New York City location. His ability to inspire our staff as well as exceed our clients’ expectations has been a major contribution to the firm’s success,” says Lou Grassi, MP and CEO. “I am very excited for the opportunity to contribute to the continued growth of the firm in the New York Metropolitan area. Additionally, I am excited to work with all of our partners to enhance the culture of excellence that drives our commitment to provide exceptional service to our clients and the New York City business community,” says Rottkamp.